Finding a church home is one of the most important decisions of the Christian life. After you’ve settled the question of your eternal home and you know without a doubt that heaven is your home because you’ve trusted Jesus Christ as your Savior, it’s very important that you find a church home to identify with. Every Christian needs to find a local congregation and get involved there. Selecting a Bible teaching, Christ centered Church is absolutely vital to your spiritual growth. 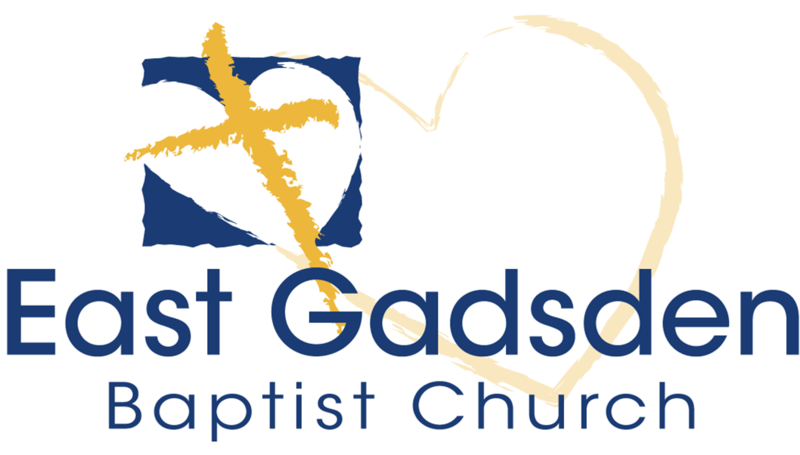 We want to invite you to come and share in one of services here at East Gadsden. You’ll be met here by some of the friendliest folks around who care about you and your family. We believe that you’ll find them eager to help you and make you feel right at home. We exist for all those of you who have never been to East Gadsden. We believe that God loves you and has a wonderful plan for you life. We have expanding ministries for all ages and we believe that every new member that God brings to our family brings unique gifts to be used in service of the Lord. We grow stronger with each new member. We’re a conservative Southern Baptist Church that is not caught up in all the modern day church growth notions that says that everything needs to change. We’re not opposed to the right kind of change. We are convinced that not every thing about the church needs to change. We still sing the treasured hymns of the faith along with many meaningful choruses that honor Jesus. We enjoy great choirn music and a variety of solos, trios, and other musical specials.